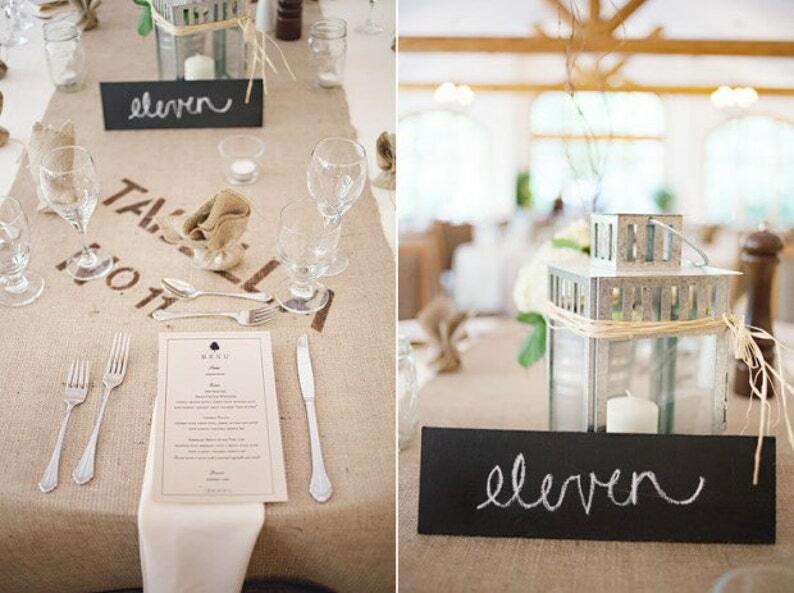 These handcrafted burlap runners serve double duty as table numbers AND table runners! Stamped lettering is the perfect detail you've been looking for and will remind your guests of old coffee bean burlap sacks to give an industrial vibe to your reception! Each runner has the words TABLE NO. 1, 2, 3 etc. stamped to it to help guide your guests to their tables. This special detail adds visual interest to your table decorations! 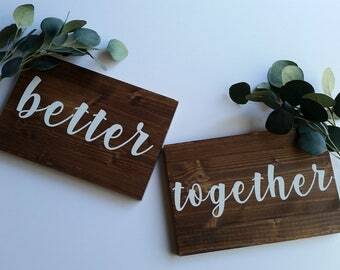 Each runner is handcrafted and stamped in brown, black, or white. We leave enough room in the center for a centerpiece and surrounding decorations. Stenciling can be omitted if requested. Each runner has a 2 FT overhang to fit your table size. The listing picture has 6 FT round tables. Not the right size? Message me with your table measurements! Please note these runners have straight ends and unfinished edges for a raw look. Have something different in mind? Message me and we can make it happen! Each order ships within 1-2 weeks. If you need them sooner, rush shipping is available!